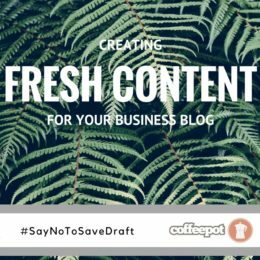 When was the last time you started writing a blog post for your website, only to lose confidence halfway through and hit the ‘save draft’ button instead of ‘publish’? We are a digital marketing agency in Manchester, and in this post, we’ll look at ways you can keep writing brilliant, fresh content for your business blog, without repeating earlier posts or going off-topic. This will help you to build a brand voice, engage your audience more frequently online, and give you the confidence to write more! We’ve also included a few search engine optimisation (SEO) tips to give you the best chance of ranking highly on Google (to increase your blog traffic). Next month (March 2017) Manchester will be celebrating International Women’s Festival, and, as a digital marketing agency in Manchester that champions women in technology careers, so will we! There have been so many great UK-based campaigns that aim to encourage women lately. The nationwide ‘This Girl Can’ campaign by Sport England, which looked into why fewer women than men play sport regularly, found that ‘fear of judgement’ was a recurring theme. Fear of judgement and a lack of confidence is also the reason many of us avoid publishing new posts; we tell ourselves we’ll refine our writing and put it live another day (maybe tomorrow, or the next day), but we hardly ever do. The amount of times I’ve logged in to a client’s website to upload new SEO-optimised content, only to be faced with a list of old, unpublished posts that have never had the joy of being shared – or even read – is too many to bear! So let’s get on with it. 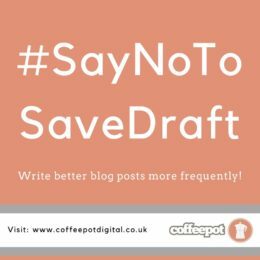 Here are 9 ways to #SayNoToSaveDraft and get publishing more content! Whether you own an eCommerce website and you’re finding it increasingly difficult to write new, relevant posts, or you don’t sell online but you understand that writing shareable content is an effective marketing method, these tips should help you to write better, more frequently and silence your inner critic! First, you’ll want to create what digital marketing agencies call a content calendar, ideally for the whole year (which isn’t as scary as it sounds), but don’t worry if you don’t get that far. Once you’ve got your first idea down the rest will come naturally – just take it one month, or one week, at a time. When brainstorming ideas for your content calendar, a great place to start is with awareness days and days of interest. Red Nose Day, Mother’s Day, St. Patrick’s Day and International Women’s Day all take place in March, for example, but you don’t have to write about all of these days. Relevancy is always important when it comes to content planning, but they may trigger a creative idea, so it’s worthwhile including them in your content calendar. International, national and hashtag holidays are great for your social media strategy, too! Once you’ve covered international and national holidays, research local festivals and celebrations, especially if you’re a business that depends on local custom. 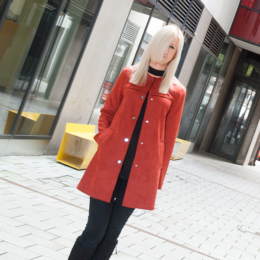 In Manchester, for example, Fashion Week is celebrated in May. This will take some time initially, but creating a content calendar will save you so much time in the long run! Also, if you come across anything that may be of interest to your readers, such as an article in the news or an advertisement, make sure you make a note of them so that you don’t forget. I often use my phone’s notepad if I have an idea. A recent blog post about how artificial intelligence could impact digital marketing was actually inspired by a book I was reading at the time, The Girl in The Spider’s Web by Swedish writer, David Lagercrantz, demonstrating how absolutely anything could provide inspiration for your next post! There are a lot of people in the world blogging right now, and it can be hard to find the ones you really love, but once you have done, you’ll be able to shape your own digital space into a blog that you can’t wait to share. It may not necessarily be amazing writing that keeps drawing you back to a particular blog; it could be the layout of the pages, the imagery, or the imaginative ideas for posts; it may be humour, a distinct tone of voice, or because you always learn something new every time you visit. Whatever ‘it’ is, remember, you don’t have to get everything perfect all at once to make your blog successful, but it can be helpful when brainstorming ideas to identify the things you love most about other blogs. Whenever I’m writing copy (advertising writing), this is one of my first steps. What kind of questions do your customers have, what are their concerns, why are they buying your product, and how could you answer them helpfully in a blog post? Your products or services will often speak volumes about the mindset of your customers. I once wrote content for a company that sold stair lifts and bath lifts, so understanding that what customers wanted more than anything else was independence, comfort and safety, and not really a boring, beige bath lift, was crucial to writing suitable posts that would keep website visitors returning. Another client sold caravan motor movers and similarly, they just wanted to enjoy a caravan holiday away without the inconvenience and backache (literally) of moving their caravan manually. If you can figure out the primary concerns and desires of your customers, your business blog will be far better than the majority out there! If you’re having trouble answering some of those questions, go back to the drawing board to create customer profiles using real data (or if you don’t have any data, create semi-fictional customer personas). This should help you to answer all the ‘whys’. If you aren’t savvy on social media yet, ‘trending’ may sound vague, but trends on Twitter ‘help you to discover the hottest emerging topics of discussion’ based on ‘who you follow, your interests, and your location’. 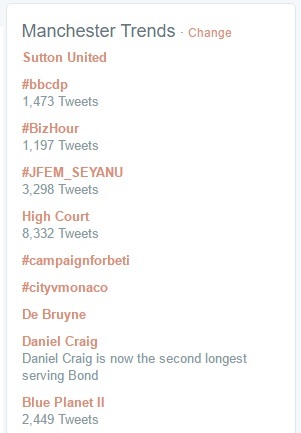 On our Twitter homepage, we receive trending topics of discussion in Manchester (because we love all things Manchester and we’re a Manchester-based digital marketing agency!) This feature isn’t always all that useful for content ideas, but it does give you an insight into what people are talking about. You can also visit the ‘News’ section of Google to find industry-relevant topics to write about. TweetDeck is a useful real-time tracking tool that allows you to categorise topics, #hashtags and profiles of people or brands that you want to engage with on Twitter. Hootsuite is a similar social media management tool, so check them both out. Sometimes, you just need to get out of your comfort zone. Changing your routine will help you to be more productive, creative and positive. We’ve all been stuck in a rut before; right now, billions of people are simply re-enacting more or less what they did yesterday, or last week. A couple of years ago, I remember watching a Channel 4 series called Hunted, where 14 ordinary men and women attempted to go on the run as fugitives for as long as they could. I remember one woman hitch-hiked across the country, making very random, spur-of-the-moment decisions about her next location. She didn’t plan ahead, so there was no way the experts could guess her whereabouts; other competitors made more rational, predetermined decisions, making their next location easier to guess. Of course, I don’t recommend going on the run, or even making irrational, impulsive life choices, but if there was a lesson to learn from Hunted, it was that sometimes, doing the unexpected can be beneficial. Rather than make any rash decisions, simply try doing something a little different every day – even if it’s just walking a different route to work, cooking a new recipe, trying out a new activity (I really want to try snowboarding), or not checking your social media notifications as soon as you wake up. The changes you make (however small) will allow you to experience the world a little differently, and should give you a lot more creative energy for when you finally do return to that blank Word document! 6 What are your competitors doing? No, no, no – don’t copy your competitors (duplicate content is terrible for SEO, and can harm your Google ranking, as well as your credibility! ), but do be inspired by their website’s blog, especially if they have lots of engagement (likes, comments, shares). While it’s true that many topics and questions in your industry will have already been answered, you can answer those questions differently (and more helpfully! ), so do it! Who wants to read a dull, long-winded, boring blog post? Nobody does. Here are some quick writing tips to write less boring. Get to the point. People are impatient. I can’t claim to have perfected my blogging skills, and I’m often guilty of not following my own advice, but personally, I’d be wary of anyone who isn’t slightly critical of their own work. We can always improve. We are visual beings. Ever since we were born, we’ve understood visual images, but getting our heads around words and sentences takes a lot longer. Perhaps this explains why so many of us are addicted to using emojis! To create a magnetic blog for your audience, make sure it looks attractive, as well as reads well. We respond better to visual information and we’re also more likely to remember content with images and video. Just remember to include an image title and alt tag to help improve the user experience and your SEO. You could include images, gifs, infographics or videos, or even embed tweets into your blog post! Of course, there’s a fine line between attractive and helpful graphics and a bombardment of flashy gifs and videos that automatically start playing. Play it cool with just a handful of visual components to drive engagement. If you feel like you’ve tackled every topic you can think of, it’s time to change tactics. Go through every blog title you’ve ever published and think about how you could write it again but from a different angle. It may be that your original post was too vague and simply gave an overview of a topic; see if there’s any useful information that you may have missed (this is also a great way to rank for more long-tail keywords). You could also try writing for a new audience. For example, I could write an in-depth article about technical SEO services for other digital marketing specialists, or I could write specifically for start-ups, B2B or B2C businesses. 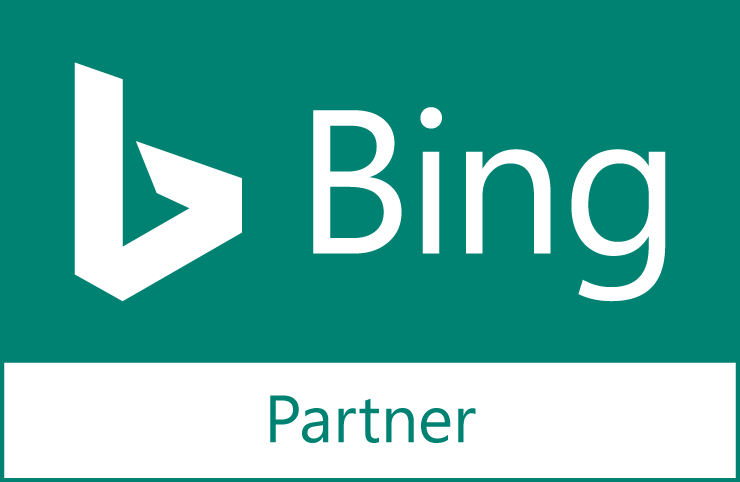 As a boutique digital marketing agency in Manchester, we offer SEO services to help make your blog (and your eCommerce website) easier to find on search engines. If you would like further information about how to grow your audience online, get in touch with our helpful team! Call 0161 236 0390 or send us a message to discuss your business’ objectives. You can also join the conversation on Twitter by following @coffeepotdgtl and using the #SayNoToSaveDraft hashtag!